Celery, an accepted Chinese herbal for thousands of years, still is one today; and it is a popular food worldwide. The most common variety, Apium rapace, is probably a younger cousin to Chinese celery. The Asian variety is less known in western countries but better known in Asia. This cousin, known as Asian celery or hon kun, is by its botanical name, Apium graveolens is a very thin-stalked celery. 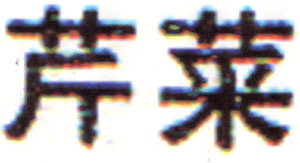 It is known by one of many Chinese names, the most common is shui qin. The Chinese variety may be as old as civilization itself; young folk say it looks like celery on a diet. Everyone agrees it smells stronger and tastes likewise, but not everyone knows that by 2000 BCE, written reports advised the thin stalked celery was a popular herbal and a well-known flavoring. An early Chinese prime minister, Master Chef I Yin, used it and it appears in Master Lu’s Spring and Autumn Annals and in the Zhou Li. 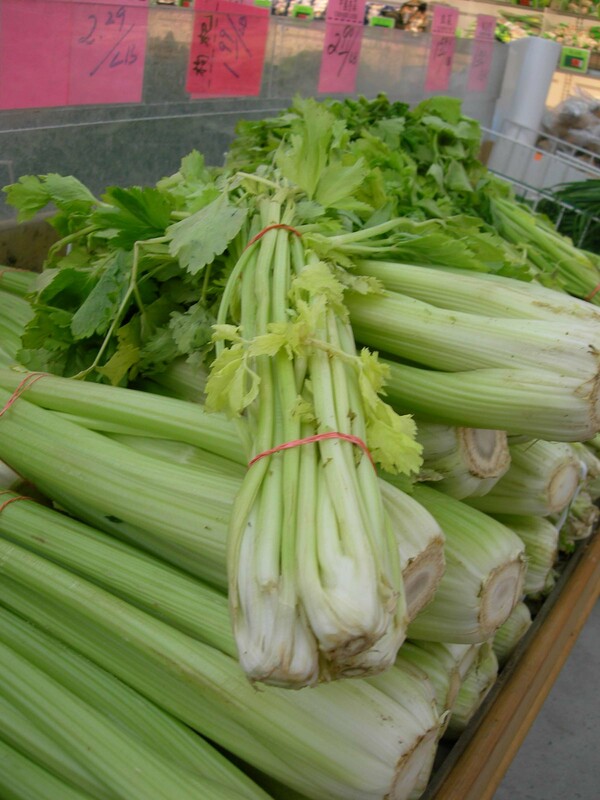 Chinese celery is a marsh plant, often referred to as wetland celery. It grows in temperate and tropical climates, and on the mountainsides of both. Many believe it closely related to this vegetable's origins and related to celeriac. Looking at it, the stems are thinner and shorter, and most are hollow. It is not the same as the bigger, heavier, and whiter celery most westerners are familiar with; nor is it commonly eaten raw. In the Chinese culinary, this lightweight is cooked and can be pickled. The Chinese consider it cooling, calming, and a good digestive. Its leaves and stems are used in soups and stews, and unlike its larger cousin, it does not need to have its strings removed. Incidentally, to get rid of them, cut down but not all the way through, from groove-side, and snap the small piece backwards. In addition, it does not need to be cut on an angle to highlight the curved shape, though it often is because doing so for both celeries provides greater surface area and speeds the cooking time. Chinese celery was a popular ingredient in stocks made for imperial families, and one of seven plants used with salt or a mold ferment and finely cut meat and wine, then preserved. This preservative usage declined when soy ferments replaced meat ones. In its early Imperial usage, it was under the watchful eyes of a Supervisor of Fermented Victuals who oversaw its pickling use in vinegars. Confucius wrote about celery circa 500 BCE. He reported it as soothing and an aid in digestion. In his times, as a medicinal, the liquid was expelled from the pickled preserved stems. Today, leaves, stems, and seeds are appreciated for healing and for its vitamins A and C contents. Common use for Chinese celery is still in soups, main dishes, dim sum, and as a pickled side dish. Chinese restaurants more frequently use the newer, fatter, taller, and more western variety as a filler in main dishes. But the Chinese prefer the thinner one, the one with three-lobed leaves and they like these leaves cooked alone or with the stems and as a vegetable. They, call this variety qin cai or shui qin and refer to the more popular western taller and fatter one as sai kai cai or simply as kai cai. Both are annual or kept as biennials and both grow throughout China, though the western variety is less available in China's market place. 2 nine by twelve inch pieces fresh bean curd sheets, cut into very thin two-inch strips. 1. Marinate pork pieces for half an hour in garlic, ginger, salt, cornstarch, and soy sauce. 2. Heat a medium-size pot, add the oil, and stir-fry for two minutes over medium heat. Then add bean curd pieces, pork and its marinade, celery, and the water or chicken broth. Bring to just under the boil, reduce the heat, and simmer for half an hour. 3. Add sesame oil, simmer another minute or two, then serve. 1. Mix shrimp, garlic, and salt, and set aside for half an hour. 2. Heat wok or pan, then add oil and the ginger, and stir-fry for one minute, then add celery and stir-fry for one minute before adding the reserved shrimp mixture. Stir-fry another one to two minutes, then add oyster sauce and cornstarch mixture, and cook until thickened and clear, then serve. 1. Cut chicken breast in four pieces lengthwise,, and remove center thick cartilage part. Then cut each across the width making them each half as thick. Next cut each piece into thin shreds, and mix these with the mushroom soy, rice wine, and the cornstarch, and set aside for twenty minutes. 2. Heat pan or wok, add half the oil and stir fry chicken for one minute. Drain and put in a strainer suspended over a bowl. 3. Wash and dry the wok, add the rest of the oil, and stir-fry ginger and garlic for half a minute, add white scallion parts and continue to stir-fry another half minute, then add the celery pieces and stir-fry for one minute more before returning chicken to the pan. Stir-fry this one minute, then remove to a serving plate, sprinkle green scallion pieces and almond slices or slivers on top, and serve. 1. Heat oil in a clay pot on the top of the stove. Add garlic and stir for one minute. 2. Then add mushrooms, black beans, sugar, and soy sauce. Cover the clay pot and simmer for fifteen minutes. 3. Add celery pieces and simmer another three minutes, stir in the leaves, simmer another minute, then serve. 1. Boil sweet potatoes for fifteen minutes, drain, and set aside reserving their water. 2. Boil white potatoes for twenty-five minutes, drain and set aside. 3. Heat oil in wok or deep fry-pan and add white potatoes and stir-fry until they start to color, then add sweet potatoes and continue to stir and fry until all are golden, then drain and remove from the oil, set oil aside, and do not wash or rinse the pan. 4. Reheat the pan, str-fry the scallion for one half minute, then add celery pieces and stir-fry another minute before adding pepper and salt, then the reserved potatoes and half cup of the sweet potato water. Stir gently for two minutes, then add chopped leaves, toss well, and serve.